Chief Whip Gavin Williamson has been appointed as the new defence secretary after Sir Michael Fallon's resignation.Theresa May has moved quickly to replace Sir Michael, who quit on Wednesday over allegations about his past behaviour.Announcing his resignation, Sir Michael said his conduct had "fallen short" of the required standards.Mr Williamson has been replaced as chief whip by his former deputy, Julian Smith.In the role Mr Smith will be in charge of enforcing party discipline in the Commons. The mini-reshuffle comes after Sir Michael became the first politician to quit following recently revealed claims of sexual harassment in Parliament.He told the BBC that what had been "acceptable 15, 10 years ago is clearly not acceptable now". 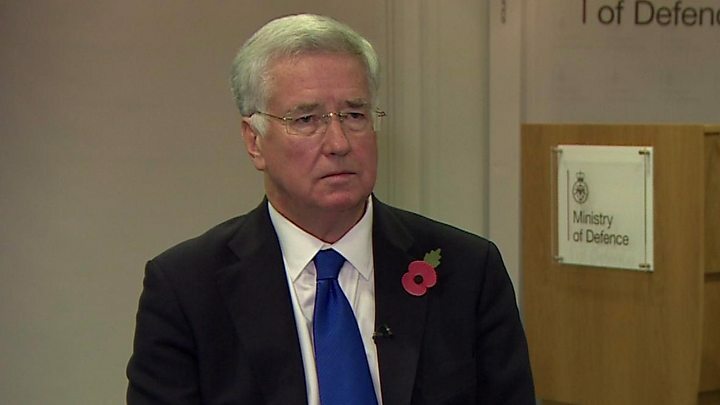 Sir Michael Fallon: "Not right for me to go on as defence secretary". He said it "was right" for him to resign, adding: "Parliament now has to look at itself and the prime minister has made very clear that conduct needs to be improved and we need to protect the staff of Westminster against any particular allegations of harassment. "When asked if he thought he should apologise, Sir Michael said: "I think we've all got to look back now at the past, there are always things you regret, you would have done differently. "His replacement, Mr Williamson, has been in Parliament since 2010, representing South Staffordshire.